Although Hovenweep National Monument is largely known for the six groups of Ancestral Puebloan villages, there is evidence of occupation by hunter-gatherers from 8,000 to 6,000 B.C. until about AD 200. Later, a succession of early puebloan cultures settled in the area and remained until the 14th century. Hovenweep became a National Monument in 1923 and is administered by the National Park Service. In July 2014, the International Dark-Sky Association designated Hovenweep an International Dark Sky Park. Hunter-gatherers from 10,000 years Before Present hunted and lived in a difficult terrain, traversed deep canyons and areas of few animals and limited vegetation, and managed limited access to water – which made life difficult and limited the size of their hunt groups. They were adaptive to find sufficient food, supplementing their diet with nuts, seeds and fruit from wild plants. Artifacts were found 1) of Paleo-Indians who camped and hunted along the Cajon Mesa of Hovenweep as early as 8,000 BC and 2) from 20 sites with evidence of Archaic-Early Basketmaker people from about 6,000 BC. 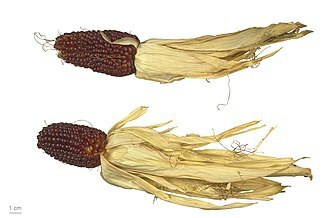 The people living in the Four Corners region were introduced to maize and basketry through Mesoamerican trading about 2,000 years ago. Able to have greater control of their diet through cultivation, the hunter-gatherers lifestyle became more sedentary as small disperse groups began cultivating maize and squash. They also continued to hunt and gather wild plants. They were named "Basketmakers" for their skill in making baskets for storing food, covering with pitch to heat water, and using to toast seeds and nuts. They wove bags, sandals, belts out of yucca plants and leaves – and strung beads. They occasionally lived in dry caves where they dug pits and lined with stones to store food. These people were ancestors of the pueblo people of the Hovenweep pueblo settlement and Mesa Verde. 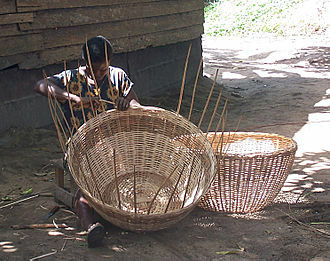 The next era, Modified Basketmakers, resulted in the introduction of pottery which reduced the number of baskets that they made and eliminated the creation of woven bags. The simple, gray pottery allowed them a better tool for cooking and storage. Beans were added to the cultivated diet. Bows and arrows made hunting easier and thus the acquisition of hides for clothing. Turkey feathers were woven into blankets and robes. On the rim of Mesa Verde, small groups built pit houses which were built several feet below the surface with elements suggestive of the introduction of celebration rituals. From pueblos at Mesa Verde we learn of some advancements during this period which are reflected in the Hovenweep structures built in the next cultural period. Pueblo buildings were built with stone, windows facing south, and in U, E and L shapes. The buildings were placed more closely together and reflected deepening religious celebration. Towers were built near kivas and likely used for look-outs. Pottery became more versatile, not just for cooking, but now included pitchers, ladles, bowls, jars and dishware for food and drink. White pottery with black designs emerged, the pigments coming from plants. Water management and conservation techniques, including the use of reservoirs and silt-retaining dams also emerged during this period. About 900, the number of Hovenweep residential sites increased. Like the people at Mesa Verde and Canyon de Chelly National Monument, about 1100 the Hovenweep village communities moved from mesa tops to the heads of canyons. People, generally considered part of the Mesa Verde branch of the northern San Juan Pueblo (Anasazi) culture, transitioned from disperse housing and built pueblos in the late 12th century alongside springs or other water sources near or at the canyon heads. Most of the pueblo building was conducted, about the same time as the Mesa Verde cliff dwellings, between 1230 and 1275 when there were about 2,500 residents. The Hovenweep architecture and pottery was like that of Mesa Verde. The Hovenweep inhabitants completed construction over a period of time. Buildings with one story towers were built about 1000. By about 1160, they began building larger pueblo residential complexes, up to 3-story towers, dams, and reservoirs. They moved their fields into areas where water could be controlled. They also built large stone towers, living quarters and other shelters to safeguard springs and seeps. The stone course pueblos and towers of the Hovenweep people exhibit expert masonry skills and engineering. The builders did not level foundations for their structures, but adapted construction designs to the uneven surfaces of rock slabs. These stone pueblos were understandably referred to as castles by 19th-century explorers. Prominent structures are Hovenweep Castle, Hovenweep House, Square Tower, Rim Rock House, Twin Towers, Stronghold House and Unit-type house. These structures are part of larger community pueblos that surround the heads of canyons where springs are located. Two murals from Hovenweep were excavated and conserved prior to area construction. The kiva murals, which provide great insight into the life of the Ancient people, are now at the Anasazi Heritage Center. Warren Hurley describes them as "some of the best preserved examples of Pueblo III wall paintings in the Northern San Juan Region." Cajon Group, constructed like the Holly, Hackberry and Horseshoe configuration, is at the head of Allen Canyon. It consists of a cluster of room blocks and the remains of a tower, estimated to house 80–100 people, that was constructed on a boulder that sits below the rim of the canyon. There are up to seven kiva depressions around the spring. Remnants of wall alignments below the rim on the talus represent possible terrace farming. Cutthroat Castle group is in an offshoot of Hovenweep Canyon. Cutthroat Castle, the largest of the remains, is on the north side of the stream. Cutthroat is unique among the units due to the lack of a spring, the numerous kivas and the fact that much of the architecture sits below the rim. The Holly group is at the head of Keeley Canyon. Holly is the site known for a rock art panel that has been interpreted as a summer solstice marker. The five named buildings at the site are Curved Wall House, Great House, Holly Tower, Isolated Boulder House and Tilted Tower. Hackberry and Horseshoe group Hackberry was a medium sized Pueblo III village in the east fork of Bridge Canyon. About 250 to 350 inhabitants are thought to have resided in the Hackberry Group. Located about 500 yards away, the Horseshoe group consists of four pueblo buildings that for a U-shape. Horseshoe Ruin had a dam at the rim to create a reservoir. Horseshoe House is a D-shaped structure containing three rooms surrounding a possible central kiva. The architectural style suggests ceremonial or public use. About 800 years ago the buildings were constructed with "precisely fit" stones and set with mortar of sand, ash, clay and water. Square Tower group is the largest collection of pueblo buildings at Hovenweep and was populated with up to 500 people. It is in Little Ruin Canyon which is made up of Square Tower, Tower Point, and Twin Towers ruin groups. Towers at Hovenweep were built in a variety of shapes; D-shapes, squares, ovals and circles and for several purposes, including tool and grinding work areas, kivas for ritual functions, residential rooms and storage. Towers have limited access, contain few windows and many have narrow slots or peepholes placed in the walls. The slots and doors of Hovenweep Castle, in Square Tower Group, have been shown to define an apparent solar calendar. The building is aligned so that light is channeled through openings into the building at sunset of the summer solstice, the winter solstice and the spring and fall equinox. The light falls in a predictable pattern on interior door lintels. 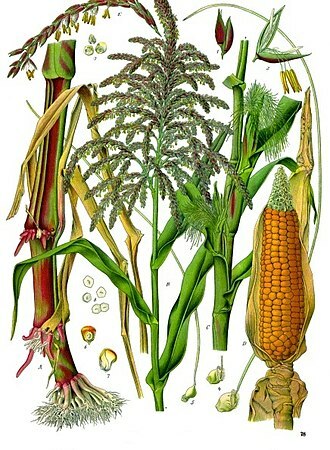 Domesticated crops such as maize, amaranth, beans, squash and cotton were grown in terraced fields, and vital water was dammed and flowed to edible wild plants such as beeweed, cattail, sedges, ground cherry, milkweed, and wolf berry. Researchers studying prehistoric diets have found sagebrush flowers, seeds, and leaves in the Puebloans' waste. As a minor part of their diet, sagebrush would have been a good source of iron and Vitamin C. In larger amounts, it kills intestinal parasites. The area surrounding Hovenweep supplied a number of materials to support the Hovenweep people's lifestyle. Trees were used for building materials and fires. Baskets were sealed with piñon sap. Clothing and sandals were made from juniper bark. Tools, such as projectile points for hunting, scrapers and knives were made from quartz stones. These construction and water related activities lead archaeologists to speculate that climatic change and increased population placed the communities under stress. The Hovenweep people left their pueblos in the late 13th century, possibly in response to a 23-year regional drought. People in the entire Four Corners region were also abandoning smaller communities at that time, and the area may have been nearly empty by 1350. Archaeological and cultural evidence leads scientists to believe people from this region migrated south to live with the Hopi of Arizona and the puebloan people of the Rio Grande in New Mexico. In 1854, William D. Huntington, on a missionary trip to the southwestern United States for Brigham Young, discovered the ruins of the present Hovenweep National Monument. 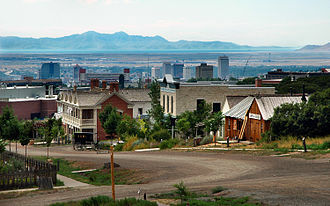 The ruins were already known to the Ute and Navajo guides who considered them haunted and urged Huntington to stay away. The name Hovenweep, which means "deserted valley" in the Ute language, was adopted by pioneer photographer William Henry Jackson and William Henry Holmes in 1878. The name is apt as a description of the area's desolate canyons and barren mesas as well as the ruins of ancient communities. Few of the mounds have escaped the hands of the destroyer. Cattlemen, ranchmen, rural picnickers, and professional collectors have turned the ground well over and have taken out much pottery, breaking more, and strewing the ground with many crumbling bones. In 1917–18, ethnologist J. Walter Fewkes of the Smithsonian Institution included descriptions of the ruins in published archaeological survey reports, and recommended the structures be protected. Little archaeological excavation was done on sites until the 1970s. President Warren G. Harding proclaimed Hovenweep a National Monument on March 2, 1923, which is administered by the National Park Service. On October 15, 1966 the National Monument was listed on the National Register of Historic Places. ^ The Hovenweep Visitor's Guide published by the National Park Service does not include Goodman Point, but it is included on the National Park Service website for Hovenweep. ^ "Listing of acreage as of December 31, 2011". Land Resource Division, National Park Service. Retrieved 2012-05-14. ^ "NPS Annual Recreation Visits Report". National Park Service. Retrieved 2018-04-09. ^ a b c d e f Hovenweep Visitor Guide, National Park Service. Retrieved 9-20-2011. ^ "Hovenweep National Monument Named World's Newest International Dark Sky Park" (Press release). Tucson: SBWire. 2014-07-01. Retrieved 2014-07-14. ^ a b c d e Gibbon, Guy E.; Ames, Kenneth M. Archaeology of Prehistoric Native America: An Encyclopedia. 1998. p. 377. ISBN 0-8153-0725-X. 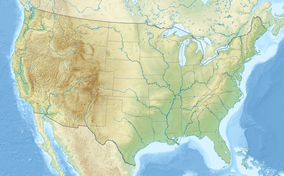 ^ Bureau of Land Management, New Mexico, United States Office. Draft environmental statement on the CO2 project, Wasson field/Denver unit, 1979. 2–56. ^ Wenger, Gilbert R. The Story of Mesa Verde National Park. Mesa Verde Museum Association, Mesa Verde National Park, Colorado, 1991 [1st edition 1980]. pp. 27–38. ISBN 0-937062-15-4. ^ a b c Wenger, Gilbert R. The Story of Mesa Verde National Park. Mesa Verde Museum Association, Mesa Verde National Park, Colorado, 1991 [1st edition 1980]. p. 27.ISBN 0-937062-15-4. ^ a b c d e History & Culture. National Park Service. Retrieved 9-20-2011. ^ a b Wenger, Gilbert R. The Story of Mesa Verde National Park. Mesa Verde Museum Association, Mesa Verde National Park, Colorado, 1991 [1st edition 1980]. pp. 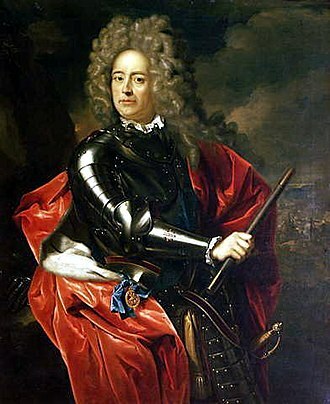 27–30. ISBN 0-937062-15-4. ^ a b Rohn, Arthur H.; Ferguson, William M. Puebloan ruins of the Southwest. University of New Mexico Press, 2006. p. 148. ISBN 0-8263-3969-7. ^ Wenger, Gilbert R. The Story of Mesa Verde National Park. 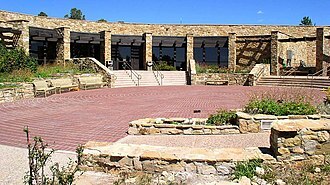 Mesa Verde Museum Association, Mesa Verde National Park, Colorado, 1991 [1st edition 1980]. 33–37. ISBN 0-937062-15-4. ^ Wenger, Gilbert R. The Story of Mesa Verde National Park. Mesa Verde Museum Association, Mesa Verde National Park, Colorado, 1991 [1st edition 1980]. pp. 39–45. ISBN 0-937062-15-4. ^ Rohn, Arthur H.; Ferguson, William M. Puebloan ruins of the Southwest. University of New Mexico Press, 2006. p. 146. ISBN 0-8263-3969-7. ^ Gibbon, Guy E.; Ames, Kenneth M. Archaeology of Prehistoric Native America: An Encyclopedia. 1998. p. 375. ISBN 0-8153-0725-X. ^ Wenger, Gilbert R. The Story of Mesa Verde National Park. Mesa Verde Museum Association, Mesa Verde National Park, Colorado, 1991 [1st edition 1980]. p. 7. ISBN 0-937062-15-4. ^ a b c d Little Ruin Canyon Trail Guide. National Park Service. Retrieved 9-20-2011. ^ Gibbon, Guy E.; Ames, Kenneth M. Archaeology of Prehistoric Native America: An Encyclopedia. 1998. p. 375, 377. ISBN 0-8153-0725-X. ^ a b Cajon Group. National Park Service. Retrieved 9-20-2011. ^ Cutthroat Castle Group. National Park Service. Retrieved 9-20-2011. ^ a b Holly Ruin. National Park Service. Retrieved 9-20-2011. ^ a b c d e Horseshoe and Hackberry Groups. National Park Service. Retrieved 9-20-2011. ^ Hurley, Warren F. X. (2000). A Retrospective on the Four Corners Archeological Program. Archived 2011-10-15 at the Wayback Machine National Park Service. Page 3. Retrieved 10-15-2011. ^ Winter, Joseph C. "Hovenweep 1974." Archaeological Report No. 1, Anthropology Department, San Jose State University, San Jose, California, 1975. ^ Winter, Joseph. (1976). Hovenweep 1975 Archeological Report no.2 San Jose, CA: Anthropology Dept, San Jose State University. ^ Ferguson, William. (1987). Anasazi Ruins of the Southwest in Color Albuquerque: University of New Mexico Press ISBN 0-8263-0873-2. ^ Goodman Point. National Park Service. Retrieved 9-20-2011. ^ Frazier, Kendrick. People of Chaco: A Canyon and Its Culture. W.W. Norton and Company, New York, 1986. p. 200. ISBN 0-393-30496-5. ^ Rohn, Arthur H.; Ferguson, William M. Puebloan ruins of the Southwest. University of New Mexico Press, 2006. p. 153. ISBN 0-8263-3969-7. ^ a b Rohn, Arthur H.; Ferguson, William M. Puebloan ruins of the Southwest. University of New Mexico Press, 2006. p. 157. ISBN 0-8263-3969-7. ^ Square Tower. National Park Service. Retrieved 9-20-2011. ^ Frazier, Kendrick. People of Chaco: A Canyon and Its Culture. W.W. Norton and Company, New York, 1986. pp. 199–200. ISBN 0-393-30496-5. ^ Noble, David Grant, editor. Understanding the Anasazi of Mesa Verde and Hovenweep. School of American Research, Santa Fe, New Mexico. 1985. See article by Joseph C. Winter, "Hovenweep Through Time." p. 25. ^ Cutthroat Castle National Park Service. Retrieved 9-20-2011. ^ Blanchard, Mark. By a Secret Way, Into the Wilderness: The Huntington Mission to the Navajo. Online version of Mark Blanchard's "Going to My Grave" pp. 227, 245–246. Retrieved 9-21-2011. ^ a b Gregory, Lee. Colorado Scenic Guide: Southern Region. Johnson Books, Boulder, Colorado, 1996 (1st edition 1984). p. 82. ISBN 1-55566-145-9. ^ Lee, Ronald. Chapter 4: Vandalism and Commercialism of Antiquities, 1890–1906 National Park Service, Archaeology Program, 2007. Retrieved 9-21-2011. ^ a b Bureau of Land Management, New Mexico, United States Office. Draft environmental statement on the CO2 project, Wasson field/Denver unit, 1979. 2–73. ^ National Register of Historic Places – Hovenweep National Monument. National Park Service. Retrieved 9-21-2011. The Pueblo II Period was the second pueblo period of the Ancestral Puebloans of the Four Corners region of the American southwest. During this period lived in dwellings made of stone and mortar, enjoyed communal activities in kivas, built towers and water conversing dams. 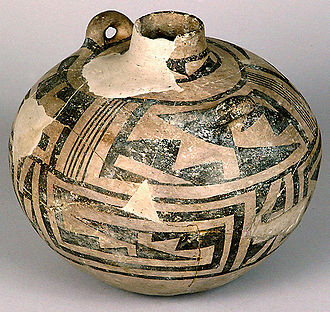 Communities with low-yield farms traded pottery with other settlements for maize, the Pueblo II Period is roughly similar to the second half of the Developmental Pueblo Period. Villages were larger and more community buildings than in the Pueblo I Period, structures were generally made of stone masonry. By AD1075, double-coursed masonry was used, which allowed for second story construction. Homes made of stone were more sturdy and fire-proof than the materials used previously, the grouping of the pueblos were called unit pueblos. Some pueblo sites used a plan of front and back pairs of rooms which formed a common cluster of 12 rooms, The rear rooms were used for storage. Round-shaped, below ground and standardized kivas were used for ceremonial purposes, large kivas, called great kivas, were built for community celebrations and were sometimes as large as 55 feet in diameter. Towers, up to 15 feet tall, were built with housing clusters, trash mounds were generally placed south of the village. During the Pueblo II Period, nearly every spot in the southwest that would support farming not in a flood plain was used for agriculture, hunter-gatherer artifacts are not found much in the Four Corners region during this period. It is likely that they hunter-gatherer tribes were forced to seek foraging land in other areas or they assimilated themselves into the Pueblo agricultural lifestyle. In the Mesa Verde National Park region, contiguous rows of rooms formed E, U and L shaped buildings, beautiful great houses from the Pueblo I Period continued to be built at Chaco Canyon into the 12th century. The structures were larger than previous dwellings. 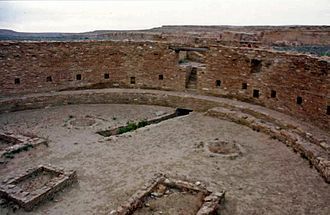 The multi-storied buildings had high ceilings, rooms with three or four times the space of domestic dwellings and elaborate kivas, such as great, outlier of the Chaco Canyon regional system. Community based activities emerged, including ceremonial rituals in great kivas, which appeared in the Petrified Forest National Park during the Basketmaker periods, were made during the Pueblo II and III Periods throughout the Little Colorado River basin. Hunting was easier with the adoption of the bow and arrow. In the Basketmaker III Era people continued to live in pit-houses, now the houses were larger, included division on the space into sections, a large central hearth, addition of vestibules, and slabs of stone were used to line the walls. Most pit-houses were built out in the open on tops of mesas, pit-houses were built in a hole several feet deep between 8 to 20 feet in diameter. A log frame was built to support walls and a roof that were covered with woven reeds, grass and, lastly. In the center of a roof was a used for ventilation. Some pit-houses had a storage room. Small groupings of pit houses were built on the top of mesas, from about AD 450-700 more than 200 Basketmaker sites sat on Chaco Canyon mesas and the canyon floor. The sites had clusters of 1-20 pit-houses, one of its villages, was the type site for this period. This compares to a settlement for 5 to 15 people. The large pit-house was likely a great kiva, based on the number of extra pit-houses for storage, it is possible that the village was visited from nearby settlers. There may have been pressure within the Basketmaker III communities to ensure their safety, stockades encircled pit-houses in at least 11 sites within a 10 miles of Pleasant View, Colorado. The settlements could have been fenced to ensure safety of children or contain domesticated dogs and it is considered is more likely that they were built as a defensive measure, based upon extensive collections of burnt artifacts from the sites. A theory is that local people may have waged war having felt displaced by the number of new Basketmaker III settlements in the area. During this period the social and political structure was likely informal, petroglyphs of people and animals were made in the Petrified Forest National Park during this period. Beans and maize were cultivated in this period, the farm include the raising of turkeys, both for feathers and a source of food. Food was kept in storage cists, below ground pits that were lined and covered with stone, people hunted and gathered wild nuts and fruit. The Solstice occurs twice each year as the Sun reaches its most northerly or southerly excursion relative to the celestial equator on the celestial sphere. 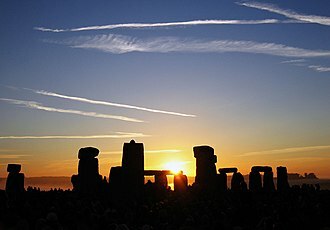 The seasons of the year are directly connected to both the solstices and the equinoxes, the term solstice can be used in a broader sense, as the day when this occurs. The day of the solstice has either the most sunlight of the year or the least sunlight of the year for any other than the equator. Alternative terms, with no ambiguity as to which hemisphere is the context, are June solstice and December solstice, at latitudes outside the tropics, the summer solstice marks the day when the sun appears highest in the sky. Within the tropics, the sun directly overhead from days to months before the solstice and again after the solstice. For an observer on the North Pole, the sun reaches the highest position in the sky once a year in June, the day this occurs is called the June solstice day. Similarly, for an observer on the South Pole, the sun reaches the highest position on December solstice day, when it is the summer solstice at one Pole, it is the winter solstice on the other. 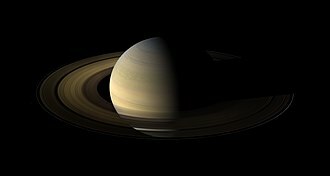 The suns westerly motion never ceases as the Earth is continually in rotation, the suns motion in declination comes to a stop at the moment of solstice. In that sense, solstice means sun-standing and this modern scientific word descends from a Latin scientific word in use in the late Roman republic of the 1st century BC, solstitium. 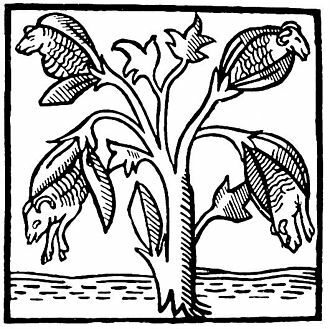 Pliny uses it a number of times in his Natural History with a meaning that it has today. It contains two Latin-language morphemes, sun, and -stitium, the Romans used standing to refer to a component of the relative velocity of the Sun as it is observed in the sky. Relative velocity is the motion of an object from the point of view of an observer in a frame of reference, from a fixed position on the ground, the sun appears to orbit around the Earth. To an observer in a frame of reference, the planet Earth is seen to rotate about an axis. The Earths axis is tilted with respect to the plane of the Earths orbit, an observer on Earth therefore sees a solar path that is the result of both rotation and revolution. The San Juan River is a significant tributary of the Colorado River in the southwestern United States, about 383 miles long. 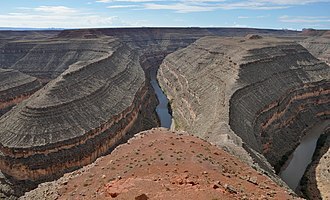 The river drains an area of about 24,600 square miles in southwestern Colorado, northwestern New Mexico, southeastern Utah, and a small part of northeastern Arizona. The average flow of the San Juan River at Bluff is about 2,200 cubic feet per second and the highest discharge ever measured was about 70,000 cubic feet per second on September 10,1927. The San Juan River joins the Colorado River at Lake Powell, a reservoir, and in fact the westmost miles of the San Juan River are impounded by Lake Powell. 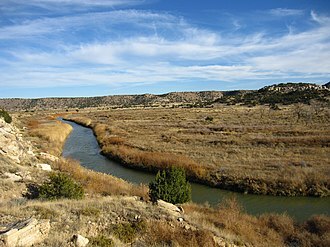 Most of the San Juan River lies in San Juan County, New Mexico and San Juan County, the San Juan River lies just a few miles northeast of the Four Corners point. The San Juan River has its source in southwestern Colorado, along the slopes of the San Juan Mountains. The largest tributary of the San Juan is the Animas River, followed by the Piedra, the San Juan drains an arid region of North America, and along its length it is very often the only significant source of fresh water. The San Juan River is the only significant stream in the parts of the Navajo Indian Reservation that lie in New Mexico and Utah. Aside from Lake Powell, the only impoundment of water along the San Juan River is at Navajo Lake, formed by the Navajo Dam in eastern San Juan County. 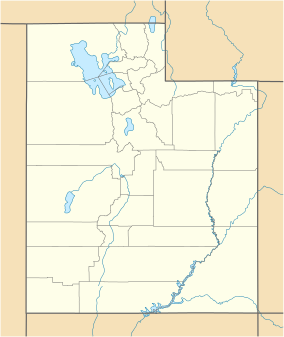 Significant towns located along the San Juan River are Pagosa Springs, the San Juan River flows into the Colorado River at the center of Lake Powell. In general, the San Juan River provides good fishing in its warm, one section deserves special mention for its fly fishing allure, the 4.25 miles just below Navajo Dam in northwest New Mexico, near the small town of Aztec. This stretch, known as the Miracle Mile, is among the most hallowed trout fishing waters in North America, the water released from the bottom of the dam is clear and cold, rich in nutrients, and flows are relatively stable. The Utah section of the San Juan River is a recreational destination. Whitewater rafting, fishing and camping are all popular in the summer months. Amaranthus, collectively known as amaranth, is a cosmopolitan genus of annual or short-lived perennial plants. Some amaranth species are cultivated as leaf vegetables, most of the Amaranthus species are summer annual weeds and are commonly referred to as pigweed. Catkin-like cymes of densely packed flowers grow in summer or autumn, approximately 60 species are recognized, with inflorescences and foliage ranging from purple, through red and green to gold. Members of this genus share many characteristics and uses with members of the related genus Celosia. Amaranth derives from Greek ἀμάραντος, with the Greek word for flower, ἄνθος, the more accurate amarant is an archaic variant. Amaranthus shows a variety of morphological diversity among and even within certain species. Although the family is distinctive, the genus has few distinguishing characters among the 70 species included and this complicates taxonomy and Amaranthus has generally been considered among systematists as a difficult genus. Formerly, Sauer classified the genus into two subgenera, differentiating only between monoecious and dioecious species, Acnida Aellen ex K. R, although this classification was widely accepted, further infrageneric classification was needed to differentiate this widely diverse group. Currently, Amaranthus includes three recognized subgenera and 70 species, although numbers are questionable due to hybridization and species concepts. Infrageneric classification focuses on inflorescence, flower characters and whether a species is monoecious/dioecious, a modified infrageneric classification of Amaranthus was published by Mosyakin & Robertson and includes three subgenera, Acnida and Albersia. The taxonomy is further differentiated by sections within each of the subgenera, species include, One cup of cooked amaranth grain provides 251 calories and is an excellent source of protein, dietary fiber, and some dietary minerals. Amaranth is particularly rich in manganese, iron, cooked amaranth leaves are an excellent source of vitamin A, vitamin C, calcium and folate. Amaranth does not contain gluten, so it may be a healthy and it has high biological value and its benefits are not limited to people with gluten-related disorders, but are applicable to the general population. Quantity and quality of proteins of amaranth are superior to those of wheat and it contains higher concentrations of folic acid than wheat, and its fiber and minerals contents are higher than those of other cereals. The Four Corners is a region of the United States consisting of the southwestern corner of Colorado, southeastern corner of Utah, northeastern corner of Arizona, and northwestern corner of New Mexico. It is the location in the United States where four states meet. Most of the Four Corners region belongs to semi-autonomous Native American nations, the largest of which is the Navajo Nation, followed by Hopi and Zuni tribal reserves and nations. The Four Corners region is part of a region known as the Colorado Plateau and is mostly rural, rugged. In addition to the monument, commonly visited areas within Four Corners include Monument Valley, Mesa Verde National Park, Chaco Canyon, the most populous city in the Four Corners region is Farmington, New Mexico, followed by Durango, Colorado. 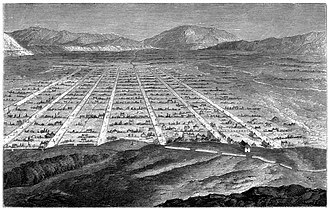 The United States acquired the four corners region from Mexico after the end of the Mexican–American War in 1848, in 1863 Congress created Arizona Territory from the western part of New Mexico Territory. The boundary was defined as a line running due south from the southwest corner of Colorado Territory and this was an unusual act of Congress, which almost always defined the boundaries of new territories as lines of latitude or longitude, or following rivers. 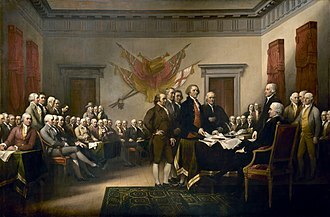 By defining one boundary as starting at the corner of another Congress ensured the creation of four states meeting at a point. The area was first surveyed by the U. S. Government in 1868 as part of an effort to make Colorado Territory into a state, the first marker was placed at the spot in 1912. The first Navajo tribal government was established in 1923 to regulate a number of oil exploration activities on Navajo land. The Four Corners Area is defined as a circle around the Four corners located at 36°59′56. 3″N 109°02′42. 6″W, the Four Corners is part of the high Colorado Plateau. This makes it a center for systems, which stabilize on the plateau proceed eastward through Colorado. This weather system creates snow and rain fall over the central United States, protected areas in the Four Corners area include Canyon de Chelly National Monument, Hovenweep National Monument, Mesa Verde National Park, and Monument Valley. Mountain Ranges in the Four Corners include Sleeping Ute Mountains, Abajo Mountains, the Four Corners Monument itself is administered by the Navajo Nation Department of Parks and Recreation. Bean is a common name for large seeds of several genera of the flowering plant family Fabaceae which are used for human or animal food. The word bean and its Germanic cognates have existed in common use in West Germanic languages since before the 12th century, referring to broad beans and this was long before the New World genus Phaseolus was known in Europe. After Columbian-era contact between Europe and the Americas, use of the word was extended to pod-borne seeds of Phaseolus, such as the bean and the runner bean. Thus the term bean in general usage can mean a host of different species, seeds called beans are often included among the crops called pulses, although a narrower prescribed sense of pulses reserves the word for leguminous crops harvested for their dry grain. The term bean usually excludes legumes with tiny seeds and which are used exclusively for forage, one is that in the past, several species, including Vigna angularis, mungo and aconitifolia, were classified as Phaseolus and reclassified. Unlike the closely related pea, beans are a crop that need warm temperatures to grow. Maturity is typically 55–60 days from planting to harvest, as the bean pods mature, they turn yellow and dry up, and the beans inside change from green to their mature colour. As a vine, bean plants need external support, which may be provided in the form of special bean cages or poles, native Americans customarily grew them along with corn and squash, with the tall cornstalks acting as support for the beans. In more recent times, the bush bean has been developed which does not require support and has all its pods develop simultaneously. This makes the bean more practical for commercial production. Beans are one of the longest-cultivated plants, broad beans, called fava beans, in their wild state the size of a small fingernail, were gathered in Afghanistan and the Himalayan foothills. In a form improved from naturally occurring types, they were grown in Thailand since the seventh millennium BCE. They were deposited with the dead in ancient Egypt, not until the second millennium BCE did cultivated, large-seeded broad beans appear in the Aegean and transalpine Europe. It was created on August 25,1916, by Congress through the National Park Service Organic Act and is an agency of the United States Department of the Interior. 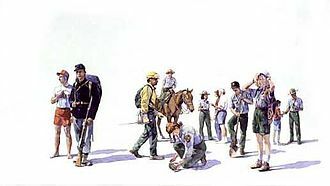 As of 2014, the NPS employs 21,651 employees who oversee 417 units, the National Park Service celebrated its centennial in 2016. National parks and national monuments in the United States were originally individually managed under the auspices of the Department of the Interior, the movement for an independent agency to oversee these federal lands was spearheaded by business magnate and conservationist Stephen Mather, as well as J. Horace McFarland. With the help of journalist Robert Sterling Yard, Mather ran a publicity campaign for the Department of the Interior and they wrote numerous articles that praised the scenic and historic qualities of the parks and their possibilities for educational and recreational benefits. This campaign resulted in the creation of a National Park Service, Mather became the first director of the newly formed NPS. On March 3,1933, President Herbert Hoover signed the Reorganization Act of 1933, the act would allow the President to reorganize the executive branch of the United States government. It wasnt until that summer when the new President, Franklin D. Roosevelt, President Roosevelt agreed and issued two Executive orders to make it happen. 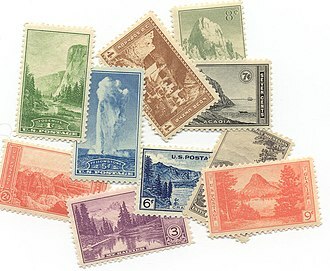 In 1951, Conrad Wirth became director of the National Park Service, the demand for parks after the end of the World War II had left the parks overburdened with demands that could not be met. In 1952, with the support of President Dwight D. Eisenhower, he began Mission 66, New parks were added to preserve unique resources and existing park facilities were upgraded and expanded. In 1966, as the Park Service turned 50 years old, emphasis began to turn from just saving great and wonderful scenery, Director George Hartzog began the process with the creation of the National Lakeshores and National Recreation Areas. Since its inception in 1916, the National Park Service has managed each of the United States national parks, Yellowstone National Park was the first national park in the United States. The Pueblo I Period was the first period in which Ancestral Puebloans began living in pueblo structures and realized an evolution in architecture, artistic expression, and water conservation. Pueblo I, a Pecos Classification, is similar to the early Developmental Pueblo Period of 750 to 1100, people constructed and lived in pueblos, which were surface level, flat-roofed homes. At the beginning of the pueblos were made with jacal construction. Wooden posts were used to create a frame to supported woven material, in the period, stone slabs were sometimes used around the dwelling foundation. The pueblos made of several rooms that formed a row or in a crescent shape. Sometimes they built the two rows thick with a combination of living rooms with fire pits and storage rooms. During this period round pit-houses began to evolve into ceremonial kivas, there was some variability in when and how communities transitioned into and out of the Pueblo I period. Some communities might not have had some of the external or climatic pressures that forced rapid resettlement, as a result, during the early Pueblo I period, there were some communities that lived in Basket Maker settlements. In some cases, the Pueblo I communities were quite large, the southeastern Utahs Alkali Ridge had about 130 rooms built on the surface, with 16 pit-houses and 2 kivas. The most advanced communities in the Chaco Canyon region had great houses, the aboveground structures were built in contiguous clusters of rooms, often with windows facing south. Many of the rooms were used for storage, people began to socialize at pit-houses used for ceremonies, which evolved into kivas. Rituals were developed as forms of prayer for rain, construction materials for buildings included stone and wooden posts, and less frequently adobe and wood. A Piedra phase settlement in the San Juan River Valley, New Mexico was surrounded by large walls, evidence shows that there was an incident that resulted in destruction of the village and death of many inhabitants. Since the incident occurred during a period of prolonged drought, one theory is that the village was raided its stores of food and it was soon after this destruction of the Pietra village that many communities built Pueblo I structures on higher, more easily defended, ground. Mesa Verde National Park is a National Park and World Heritage Site located in Montezuma County, Colorado. It protects some of the best preserved Ancestral Puebloan archaeological sites in the United States, created by President Theodore Roosevelt in 1906, the park occupies 52,485 acres near the Four Corners region of the American Southwest. With more than 4,300 sites, including 600 cliff dwellings, Mesa Verde is best known for structures such as Cliff Palace, thought to be the largest cliff dwelling in North America. Starting c. 7500 BCE, Mesa Verde was seasonally inhabited by a group of nomadic Paleo-Indians known as the Foothills Mountain Complex. The variety of points found in the region indicates they were influenced by surrounding areas, including the Great Basin, the San Juan Basin. Later, Archaic people established semi-permanent rockshelters in and around the mesa, by 1000 BCE, the Basketmaker culture emerged from the local Archaic population, and by 750 CE the Ancestral Puebloans had developed from the Basketmaker culture. The Mesa Verdeans survived using a combination of hunting and subsistence farming of crops such as corn and squash. They built the mesas first pueblos sometime after 650, and by the end of the 12th century, the first occupants of the Mesa Verde region, which spans from southeastern Utah to northwestern New Mexico, were nomadic Paleo-Indians who arrived in the area c. 9500 BCE. 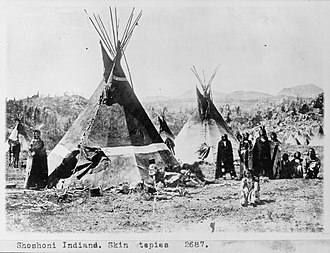 They followed herds of big game and camped near rivers and streams, the earliest Paleo-Indians were the Clovis culture and Folsom tradition, defined largely by the way in which they fashioned projectile points. Although they left evidence of their presence throughout the region, there is indication that they lived in central Mesa Verde during this time. After 9600 BCE, the environment grew warmer and drier, a change that brought to central Mesa Verde pine forests. Paleo-Indians began inhabiting the mesa in increasing numbers c. 7500, development of the atlatl during this period made it easier for them to hunt smaller game, a crucial advance at a time when most of the regions big game had disappeared from the landscape. Montezuma County includes the Colorado section of the Four Corners Monument. Pueblo Bonito, the largest of the Chacoan Great Houses, stands at the foot of Chaco Canyon's northern rim. A San man from Namibia. Many San still live as hunter-gatherers. A 19th century engraving of an Indigenous Australian encampment. False-color satellite image of the Four Corners. Bright red lines are vegetation along the major rivers of the area. A young Navajo boy on horseback in Monument Valley. The Navajo Nation includes much of the Four Corners area, including the valley, used in many western movies. The Durango and Silverton Narrow Gauge Railroad, now a heritage railway, formerly connected the Four Corners area to the national rail network. A canteen (pot), dated about AD 1075 to 1300, excavated from the ruins in Chaco Canyon, New Mexico. Maqam Echahid in Algiers, Algeria, iconic concrete monument commemorating the Algerian war for independence. National Martyr's Memorial in Dhaka, built on memories of the martyrs of Bangladesh Liberation War. The Great Kiva at Aztec Ruins National Monument was excavated by Earl Morris in 1921 and reconstructed by him 13 years later. Cono de Arita, a natural monument in Argentina.